Leading Bollywood producer and social entrepreneur Sangeeta Ahir recently made a striking appearance in Mumbai at the unveiling of the Christian Louboutin x Sabyasachi Collection 2019. Titled ‘Kashgar Bazaar: In Retrospect’, the event was held to mark the glorious 20th anniversary of Sabyasachi’s brand, drawing inspiration from the ace designer’s maiden collection. With an inspired Silk Road theme, the evening saw the who’s who of the fashion world rubbing shoulders with society’s upper crust and Bollywood royalty in a sumptuously decorated environment. In this glittering sea of outfits, Sangeeta and her stunning daughter Aishwarya pulled out all the stops and set jaws dropping with a pair of uber-chic ensembles. 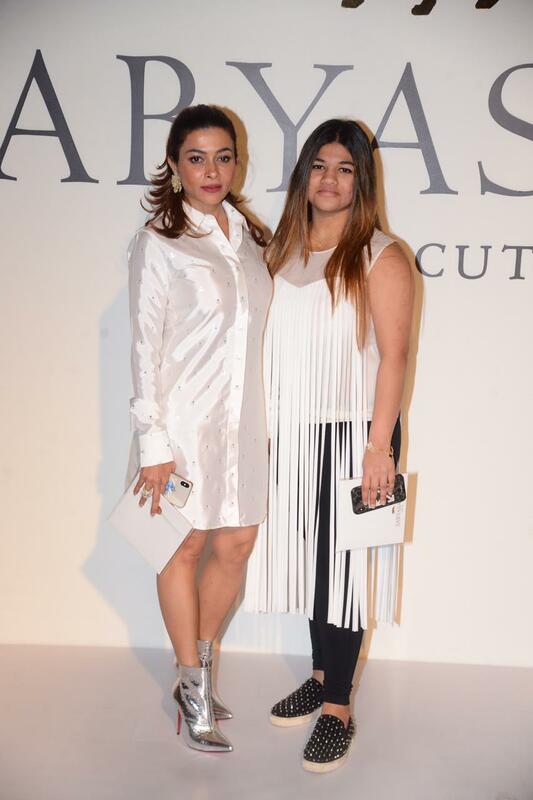 Sangeeta dazzled in a shimmering white shirt dress and metallic heels, while Aishwarya proved that a sense of style runs in the family, pairing a sleeveless, tasseled white top with a pair of sleek black pants and stylish polka-dotted sneakers. 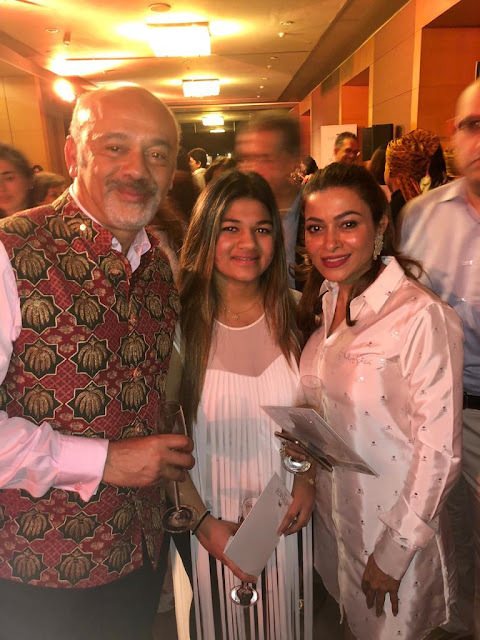 Over the course of the evening, Sangeeta was spotted chatting and sharing a laugh with globally renowned French fashion icon and co-host of the event Christian Louboutin. What we wouldn’t give to have been a part of that conversation!